For some time, Maschine has topped the list of “things we wish had Ableton Link support.” Well, wish granted. And now that means easy jamming with DJ tools and production tools, on desktop or on iPad. Maschine now adds Ableton Link for seamlessly sync and live jamming over wires and wireless with a whole bunch of stuff. That includes Ableton Live, of course, but also Serato DJ, Max/MSP, Pure Data, and a whole mess of iOS apps. Instead of having to bother with MIDI sync, you just switch on Link and everything syncs – with any tool or any user able to change tempo. It’s great for jams with multiple people, and it’s great for making things more reliable and easier to set up even if you’re just one person. 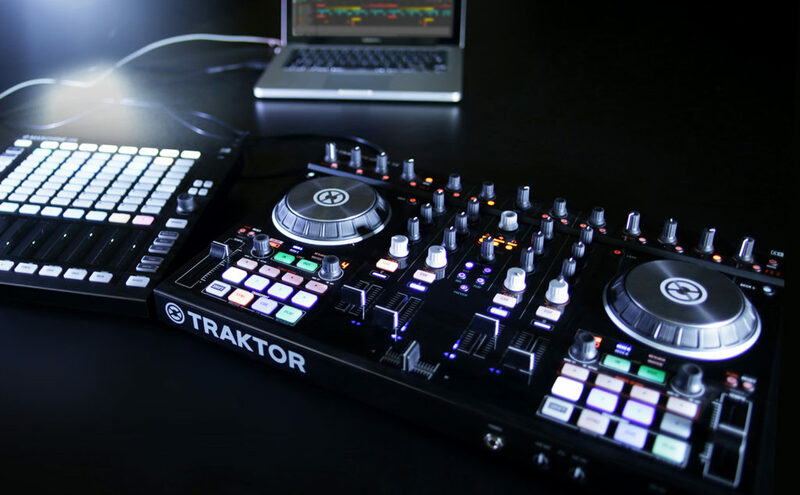 Link support also answers the question of how you can easily integrate Maschine and Traktor. Now, the DJ tool and the drum machine / instrument / host connect seamlessly with one another. That in turn may answer the question “why are you DJing with a laptop.” Consider this scenario: you can now play a hybrid set with Maschine alongside Traktor (or Serato, if you wish). And in case your laptop tries to die in the middle of a set, you could also sync up an iPad as a backup. NI have a video of the Maschine + Traktor integration, though this being Link, you could easily substitute other tools. We’ll have to do some testing on this one. I might put my money where my mouth is and play my next set this way. Maschine Jam recently added templates for integration with FL Studio, Bitwig, Ableton Live, and so on.